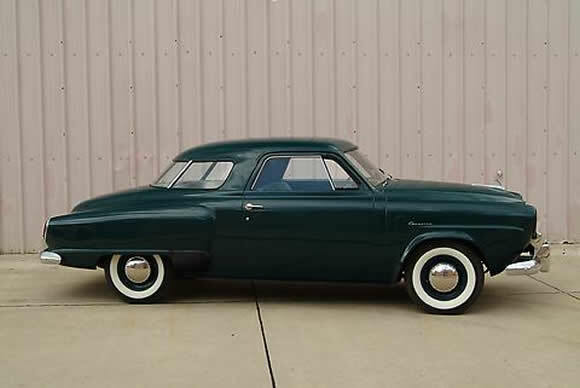 This is a great example of a 1950 Studebaker Starlight. 1950 brought the introduction of the bullet nosed style that makes a big statement even today and I really like the wrap around rear window. This Studebaker paved the way for a completely new style of car from the more streamlined cars of the 30's and 40's. When I was growing up my dad loved Studebaker's and at one time owned 13 of them. Some of which he rebuilt from the chassis up. The best of them my mum got to drive and I remember all 5 foot nothing of her manhandling these big tanks. Great fun. Read more about it here.